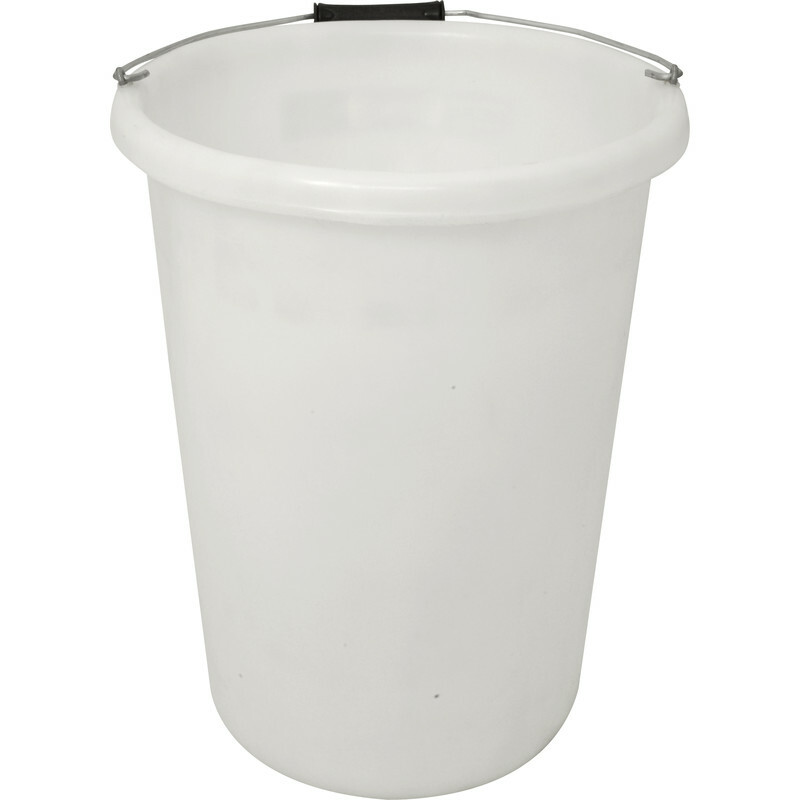 Heavy Duty Plasterers Mixing Bucket 25L is rated 3.7 out of 5 by 6. Rated 1 out of 5 by de3092 from Not reusable The second time I used this bucket while cleaning it out my scraper went through the side rendering the bucket useless, very bad value . Rated 4 out of 5 by Steve Mac from It's good purchased as a replacement, this is a good sturdy bucket with two small handles moulded into the top which helps to steady it when scraping plaster out, also has incremental measurements on the inside to help with the amount of water you require, allin a good piece of kit.